Dr. Charles Chamberlain was born in Trafalgar Twp. in Halton County, Ontario on the 8th of March, 1832, the 4th of 12 children born to Milo Chamberlain and the former Druscilla Havens. 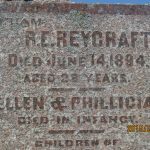 His parents were farmers and his siblings were Joseph, George, Elizabeth, Hiram, Mary, William, Osker, Albert, Rebecca, Lydia and Joel. According to the 1851 census he was 20 years old and classified as a laborer on his parents farm. Dr. Chamberlain married Melinda C. Lymburner in Brant County on the 21st of December,1859. Mrs. Chamberlain was born in 1837 in Ancaster Twp., Wentworth County, Ontario the daughter of William Lymburner and the former Lucinda Burke. Her parents were farmers and her siblings were Jane, Sally Ann (who died in infancy), Jemima, Sarah, Eliza, Lucinda and William. Dr. Chamberlain graduated M.D. from Victoria College in 1863. By 1871 Dr. and Mrs. Chamberlain were living in Leamington (Essex County). Although Dr. Chamberlain did not reside in Kent County, his name appears on birth and death records in Wheatley and Romney Twp (Kent County) indicating that he made the relatively short journey into Kent County to attend to the needs of his patients. (Leamington and Wheatley are approximately 12 kms apart.) His older brother Dr. George Chamberlain was residing and practicing medicine in Wheatley until his death in 1893. 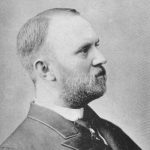 Dr. Charles Chamberlain died on the 11th of May, 1900. He was buried at Lakeview Cemetery in Leamington. 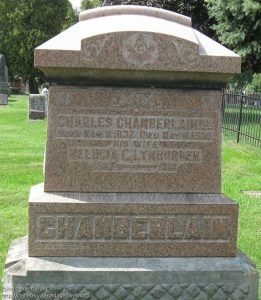 Mrs. Chamberlain died in Milton, Ontario on the 5th of May, 1919. She was also buried at Lakeview Cemetery. 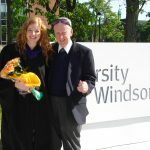 *Dr. George Chamberlain also appears on the Chatham-Kent Physician Tribute website.